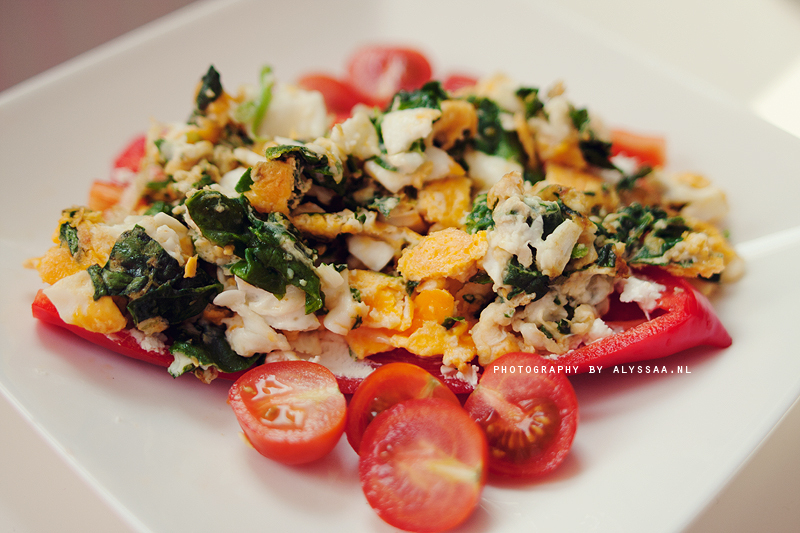 I’m always looking for simple but delicious things to eat for lunch, my second favorite meal of the day. 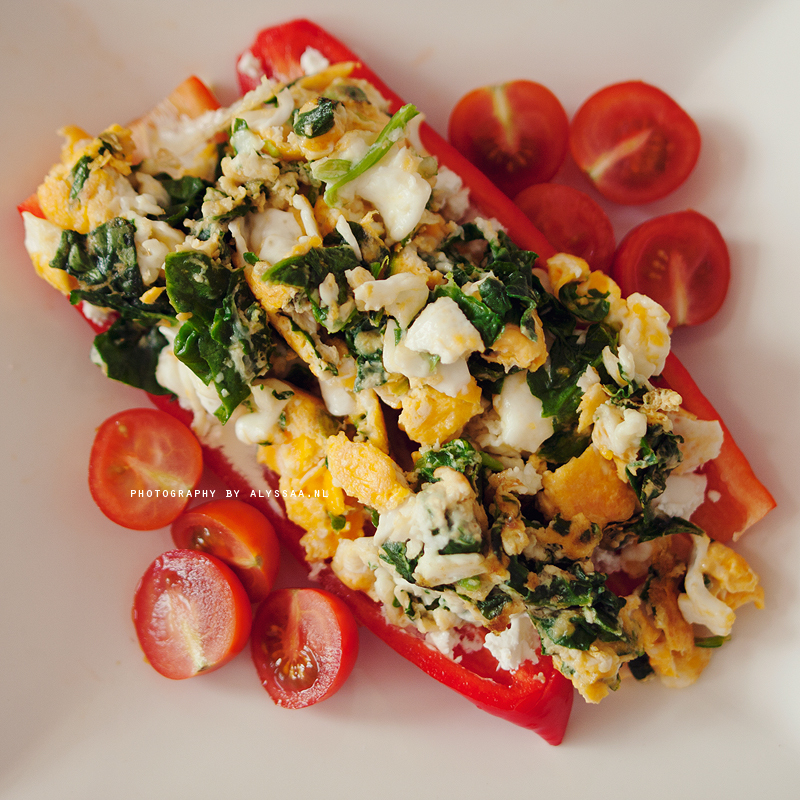 Next to breakfast, of course ;) I recently got some beautiful red peppers while shopping for groceries, and when lunchtime rolled around I thought: why not put my usual scrambled eggs in a red pepper for a change? Turns out that was a wonderful idea, because it was very tasty! Luckily making this is easy-peasy-lemon-squeezy! 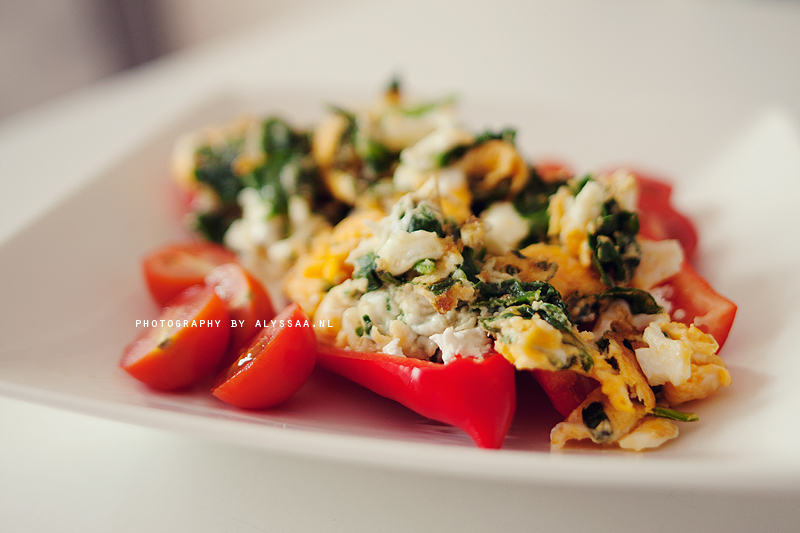 First scramble two eggs with spinach. 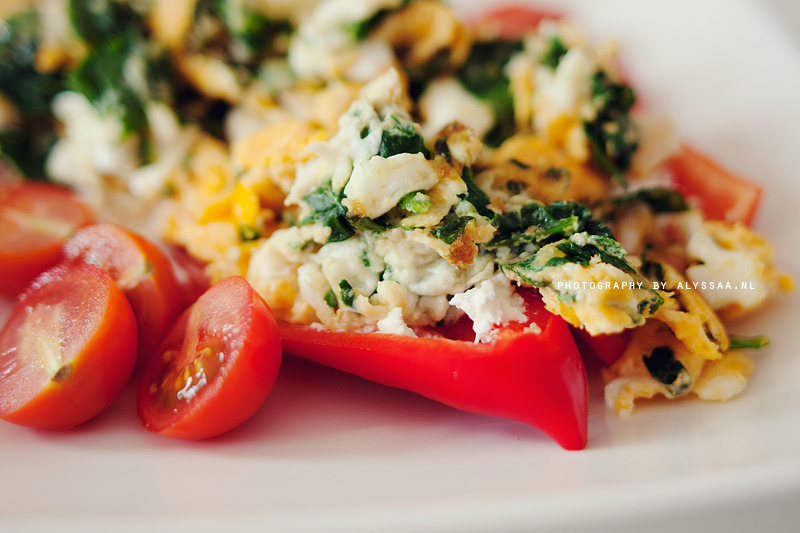 Then rinse your pepper, cut it in half, put some goat’s cheese on it and fill the halves with the eggs when they are done. As a little something extra, cut a few cherry tomatoes in half and serve them with the peppers. Bon appetit!